Some try to cover up the smell of marijuana while others cant get enough, if the later is you then you are the right place. Inspired by the strong scent of weed this perfume allows you to smell like the famous herb without smoking it! Some people ask us what does marijuana smell like? Well here is our answer. Hemp is defined as the roots, stalk, and stems of the cannabis plant, and is completely legal to possess the United States. 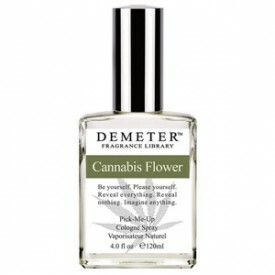 The illegal to posses Cannabis Flower (used to make Marijuana) is at the heart of this fragrance. Our Weed perfume allows you to legally experience the sometimes skunky smell of marijuana without the legal worries. This Marijuana Scent is slightly floral and slightly spicy. We are curious what strains this scent is close to, any ideas? Overall our weed fragrance smells like marijuana having a deep, penetrating floral spice that will bring back memories of all types. This is a good gift for potheads as well as those curious about the scent.